Come along to a workshop with Alex Walker from the House of Muchness to conjure up ideas for art experiences that will feature in ArtPlay’s 2019 winter school holiday program. Alex will lead you through a series of dynamic tasks so that you can dream big with your art project visions. Processes across the workshop will include games, brainstorming, mapping, design, collaboration, and then preparation of imaginative art experiences and workshops. ArtPlay will then match your ideas to artists who will turn them into reality! 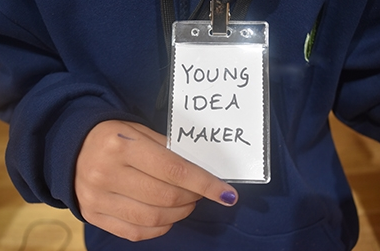 Young Idea Makers is an ArtPlay program that facilitates the creation of art experiences by children for children. Each child must be accompanied by an adult. Please contact the organisers if you or your child has any access requirements.